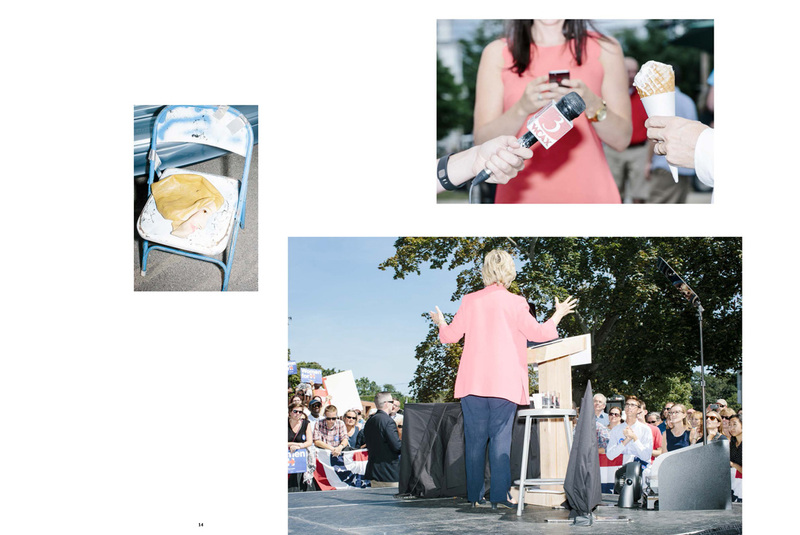 HANT - Magazin für Fotografie published a portfolio of my work from the 2016 presidential election in their eighth issue, which came out in November 2016. I wasn't familiar with the magazine before they approached me, but it's one I'll keep an eye on; each issue prints a wide variety of boundary-pushing photography from around the world and it's beautifully designed and printed. 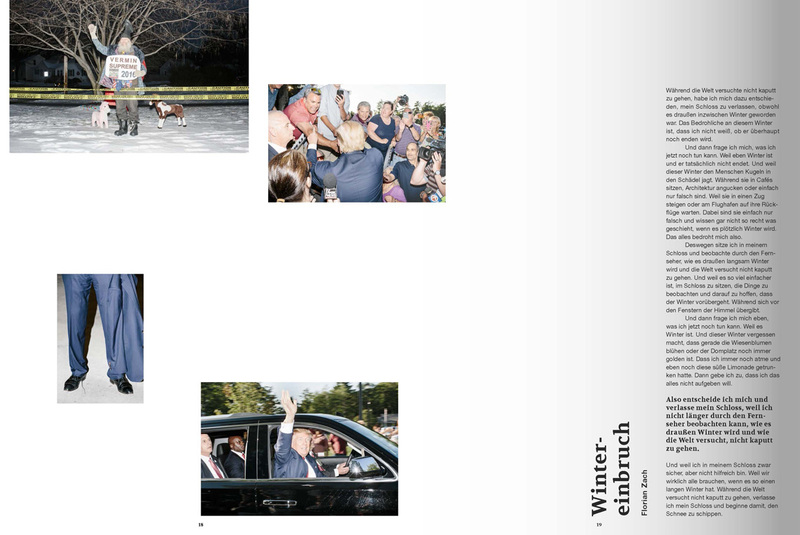 The magazine was awarded in the 2016 Visual Leader awards in Germany last year, alongside other leading publications including Der Spiegel, Zeit, Stern, Dummy, and others. 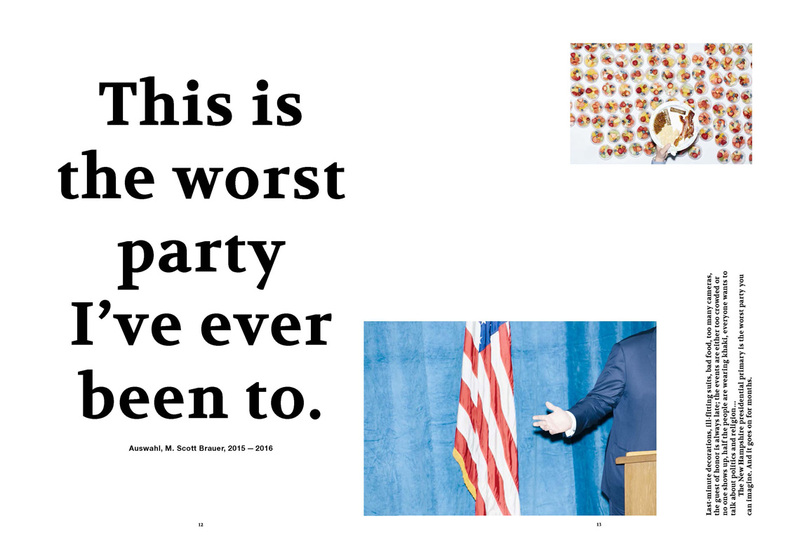 They published a handful of pictures from "This is the worst party I've ever been to." 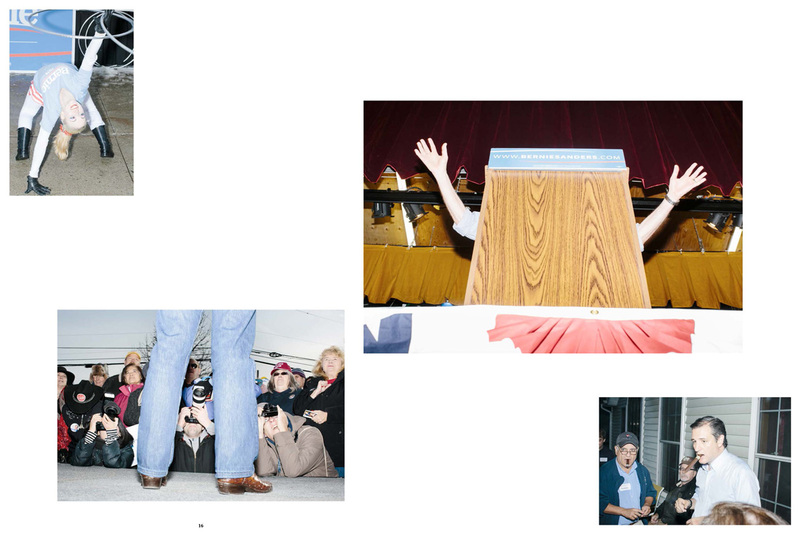 over 8 pages in the magazine, and you can see the spreads above. Thanks to Dominik Bönisch, Alexander Grüner, and the rest of the team there for including me in such wonderful company. It might be difficult to get a copy of the magazine, but you can see some photos of spreads throughout the issue at the HANT website.